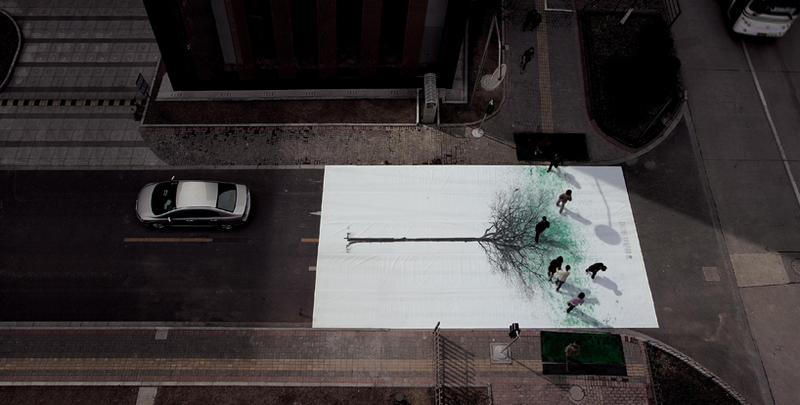 If It's Hip, It's Here (Archives): DDB Shanghai Promotes Walking Over Driving With Crowd-Sourced Art. 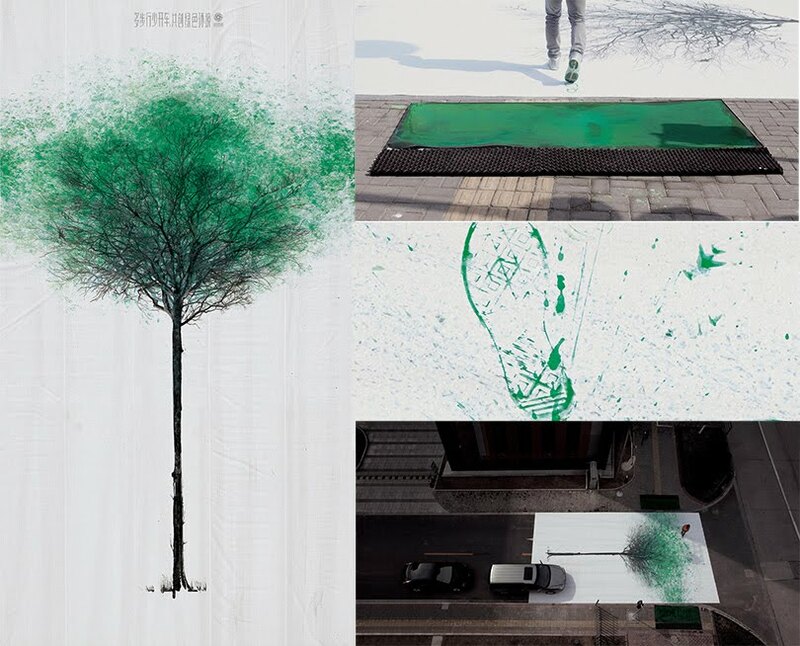 Green Pedestrian Crossing for China's Environmental Protection Foundation. 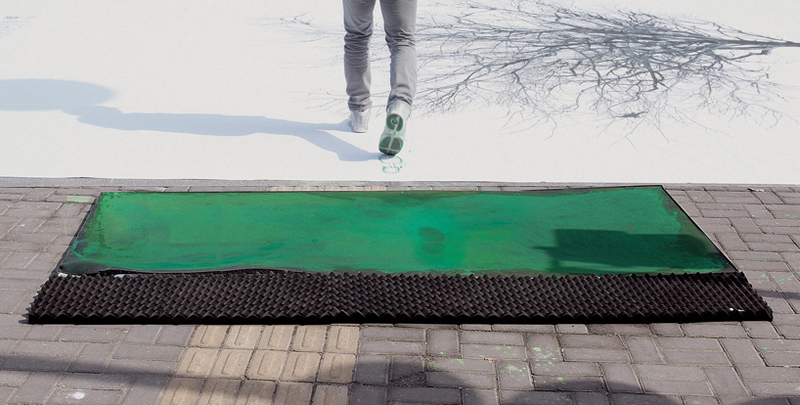 DDB Shanghai Promotes Walking Over Driving With Crowd-Sourced Art. 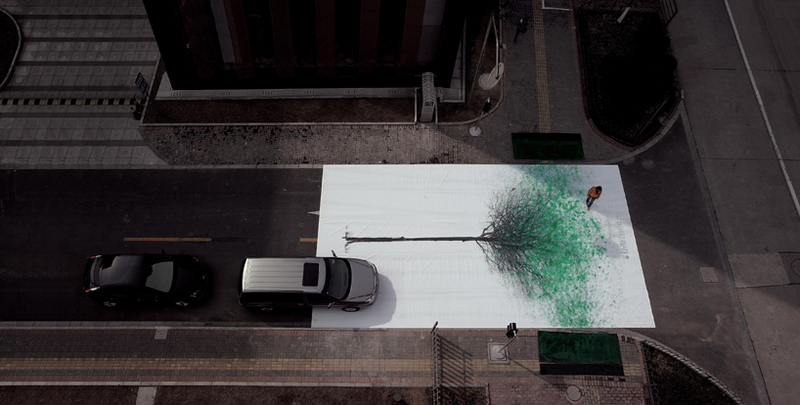 Green Pedestrian Crossing for China's Environmental Protection Foundation. Green Pedestrian Crossing - More Walking, Less Driving. 40% of carbon monoxide emissions come from cars. According to China's Ministry of Commerce; the country is now the world's largest car market with over 500 million vehicles on the road. This is without a doubt having a huge impact on the environment. China Environmental Protection Foundation wanted an attention grabbing tactic to urge everyone to do their bit for the environment. They asked people to walk more, and drive less. DDB Shanghai created an outdoor advertisement on the street to push this message. The agency decided to leverage a busy pedestrian crossing; a place where both pedestrians and drivers meet. 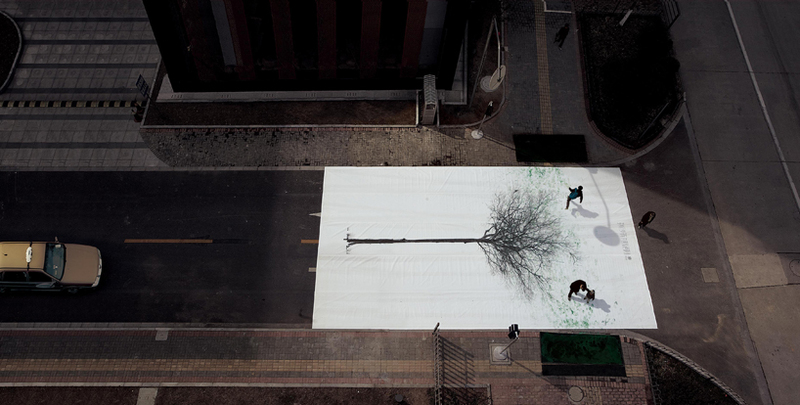 They lay a giant canvas of 12.6 meters long by 7 meters wide on the ground, covering the pedestrian crossing with a large leafless tree. Placed on either side of the road beneath the traffic lights, were sponge cushions soaked in green environmentally friendly washable and quick dry paint. 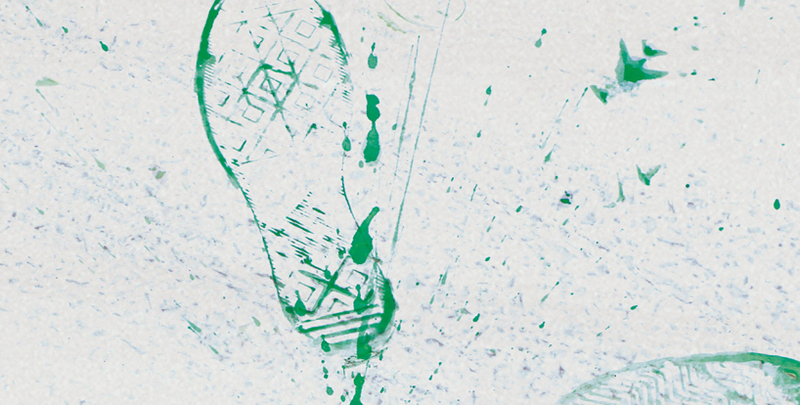 As pedestrians walked towards the crossing, they would step onto the green sponge and as they walked, the soles of their feet would make foot imprints onto the tree on the ground. 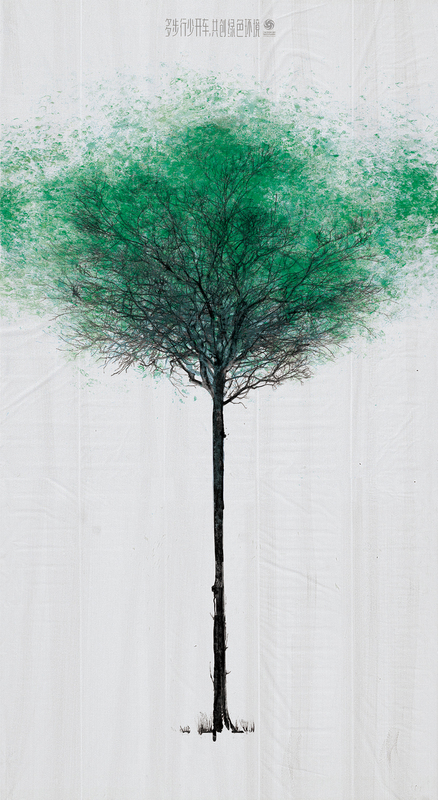 Each green footprint added to the canvas like leaves growing on a bare tree, which made people feel that by walking they could create a greener environment. The Green Pedestrian Crossing was carried out in 7 main streets of Shanghai and later expanded to 132 roads in 15 cities across China. A total number of pedestrians that participated exceeded 3,920,000 people. Key media both online and offline rapidly wrote about the campaign. According to research, the overall awareness of environmental protection had increased 86%. After the campaign, the print was exhibited at the Shanghai Zheng Da Art Museum. All images and info courtesy of DDB Shanghai and a special shout-out to Jaci Lerner for bringing this to my attention. This is really a good step..I think such type of events should take place everywhere so that people will be aware..